… are what made our weekend away to Scotland 2014 memorable! With having no internet connection in the three B&B/hotels we stayed in I am having to update when back at home. Over the three nights/four days we saw a lot of sights, drove for 17 hours and ranked up a total of over 800 miles! There are a lot of pictures to go through, and I mean a lot!!! In this post I will try and cover all the highlights with a selection of pictures I have not shared on my Facebook page. I hope you enjoy reading as much as we enjoyed visiting some wonderful sights in the East of Scotland. Our holiday started on the Thursday when David and I drove up to Falkirk from Liverpool. The four hour journey went without a hitch and the weather stayed dry, if not cloudy once crossed the boarder.We had lunch at the Helix with the Kelpies in the distance. We had a tour booked for 2.30pm! Our tour guide was Andy and he was informative if not flamboyant! He really entertained David and I and the other six people on the tour! The tour was £5 each and lasted one hour which I thought was value for money! The tour explained the history behind the development of Helix and the Kelpies and then went on to explain about the past, of the areas industrial roots and the canals. The tour ended inside the base of one of the Kelpies, Duke I think it was. After the tour we spent another hour walking around and taking pictures from different angles. The sun broke through the clouds and we got some great pictures! 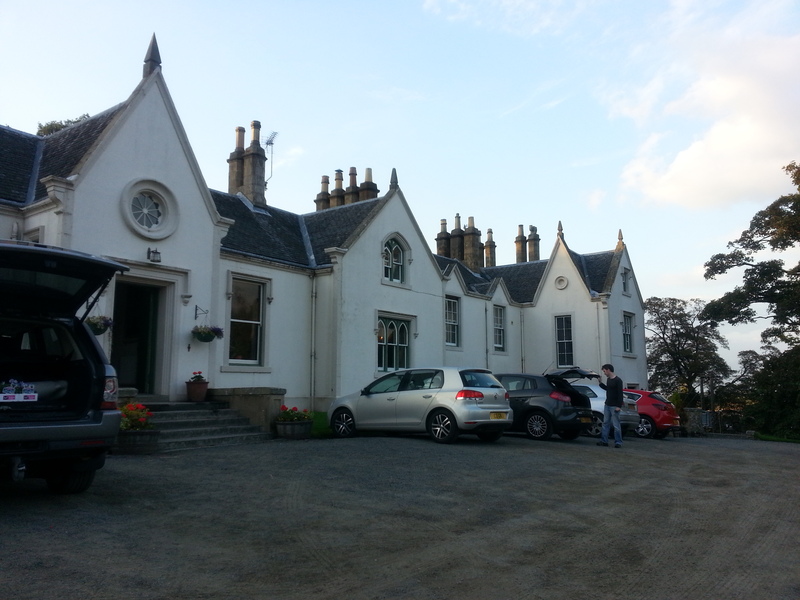 After four we drove to our B&B in Stirling, West Plean. It was our third time of staying there and the welcome is always friendly. We dinned at the River House, and afterwards we decided to go back to the Kelpies to see them lit up at night. It took over an hour for the sun to set but we got some fantastic pictures of the Kelpies lit up with red lights. To me they looked demonic! The Friday dawned with mist over Stirling. We shared a lovely friendly breakfast with a French couple from Paris and a German couple from Berlin. As Moira the proprietor of West Plean said, it was an international breakfast table! After breakfast David and I left for Aberdeen. We came across cloud and more cloud before it turned to sharp piercing rain. 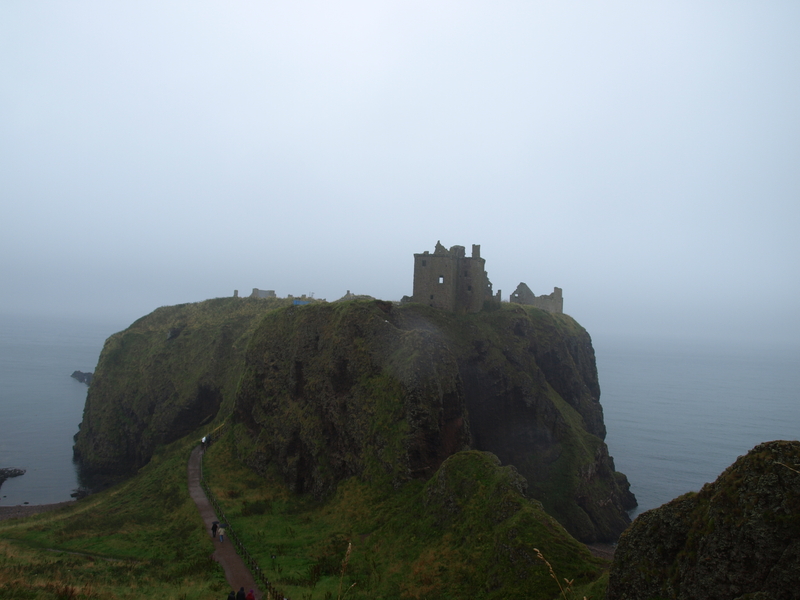 We stopped for lunch at Dunnottar Castle and we’re going to visit, but we had good views of the mist shrouded castle from the headland so we snapped a few pictures and then went on our way! We arrived in a rain soaked Aberdeen after 1.30pm and quickly went in search of Marischal College where the 50 dolphins of the Wild Dolphins art exhibition where housed before auction. They were displayed in an open courtyard and David and I were not protected from the ‘dreich’ weather! After 4pm we checked into our second base for the night, the Hilton, Treetops Hotel. It was a four star hotel but we were in a three star room! The other downside was that we were staying next to a ‘bride to be’ and she and her friends kept us up during the night with their antics! The only positive of the stay was the restaurant. After nursing a migraine and not having brought any medication (the only thing I did not have) we went for dinner. 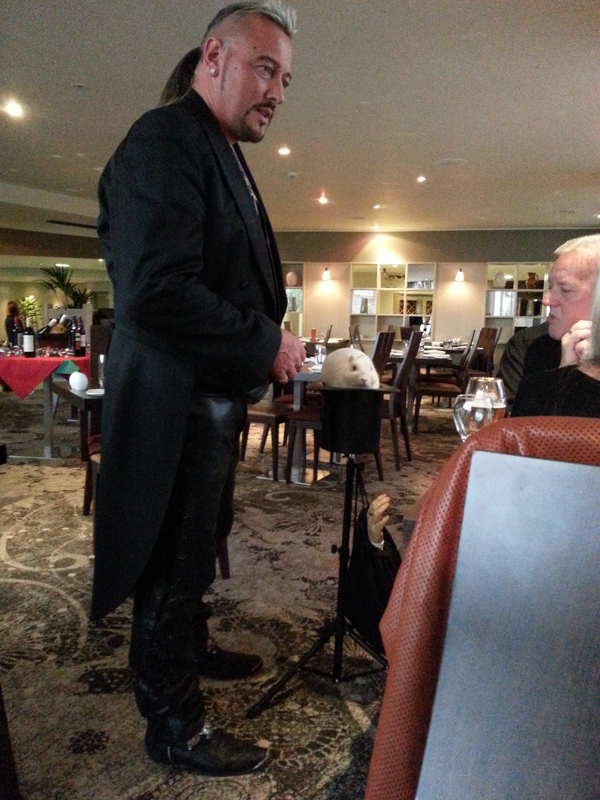 After ordering the salmon, we were then entertained while waiting by a magician called Garry and his pet rabbit Basil! It was amusing and highly different! David had a smile on his face all evening! Saturday dawned much brighter with the sun shining, my headache and sickness lifted. We did not pay for the £10 each for breakfast, we decided to just have a coffee and head off to Edinburgh. 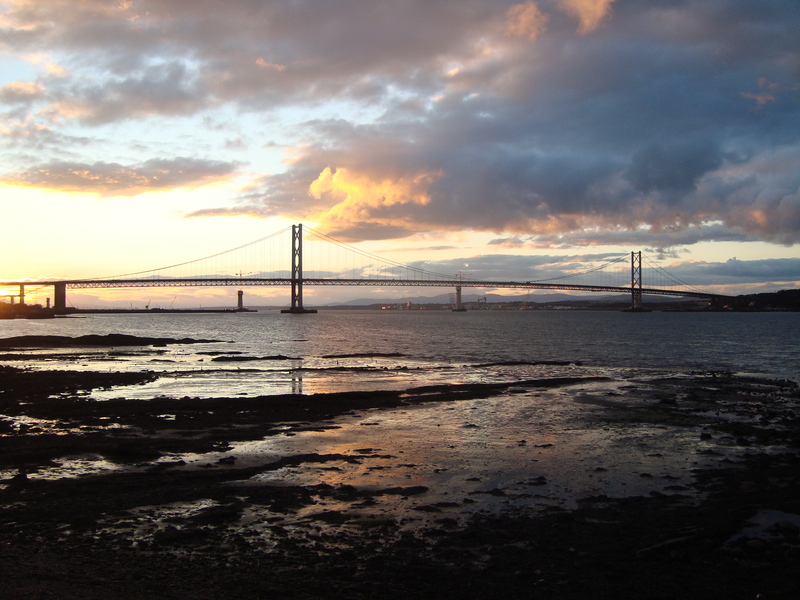 We were planning on visiting Highland Wildlife Park but the satnav said a three hour drive awaited us and then another 2.5 hours to Queensferry, so we opted to visit my favourite city instead. We stayed in Edinburgh for lunch and walked around Calton Hill, Holyrood Park and the Royal Mile. It was nice visiting old haunts. After 3pm we set off to our last base for the holiday. We checked into the Hawes Inn, a pub on the river front. It was a three star and the room we were in was testament to that. We were in an outhouse, and in the basement as that, hence no internet signal! It was not the best B&B we have stayed in, but it was liveable! We were not there much of the time anyway! After check in, we decided to mingle with the locals who were there for a food and drink festival. We took pictures of the two bridges and looked for restaurants. In the end we had a delightful curry at an Indian called the Queen’s Spice. At the end of the meal I was gifted a red rose, a nice touch! 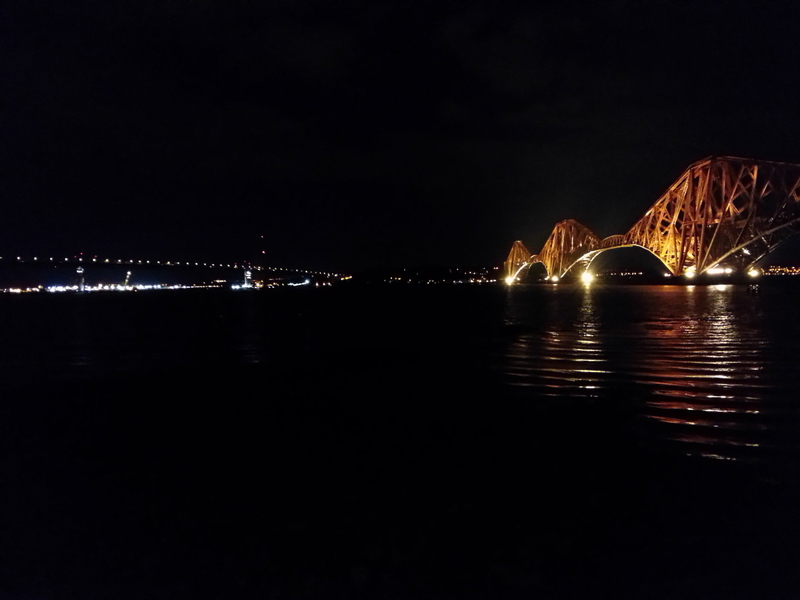 Later on that evening we headed back out (again) to see the bridges lit up with lights. The Sunday saw us getting up at 8am for a continental breakfast. 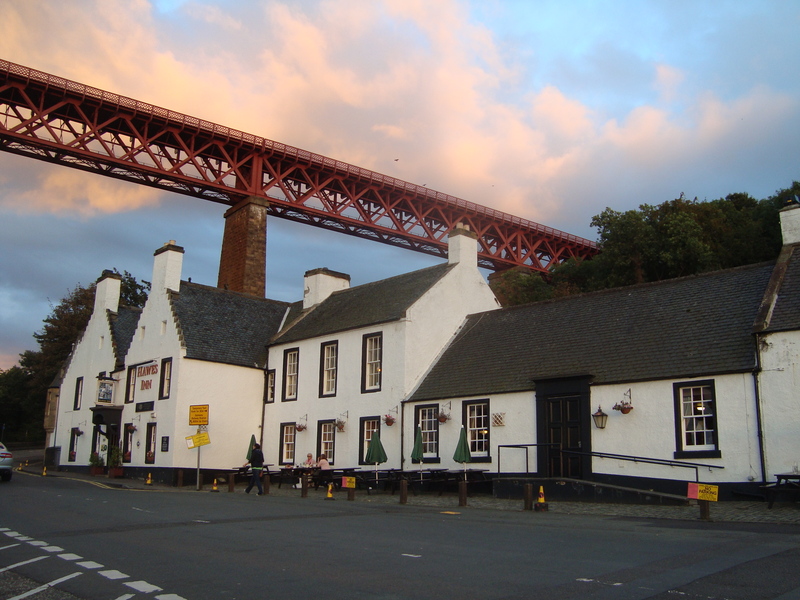 We left Queensferry on our journey south. I with a tear in my eye said a farewell to Edinburgh and Arthur’s Seat as we saw it fading into the distance as we dove along the A7! We headed to Melrose Abbey for two hours of strolling around ruins. It was a pleasant, peaceful day! We got back to Liverpool after 4pm on Sunday, tired but satisfied that we had had a nice, diverse time. I hope you have enjoyed my recital of our little weekend and inspired you to visit Scotland?! I will try and make a video of the highlights and post on here. Blea Tarn and Brothers Water.